In 1978, San Diego welcomed the relocation of the Buffalo Braves franchise because the city had lost their Rockets to Houston seven years earlier. San Diego team officials did not think Braves was a representative nickname for the club. A contest decided on Clippers because the city was known for the great sailing ships that passed through San Diego Bay. When the Clippers moved to Los Angeles in 1984, they kept their nickname. In the team’s first season in San Diego, it posted a record of 43–39 under new head coach Gene Shue, leaving them two wins shy of the final playoff spot. It would be the Clippers’ last winning season for 13 years. It was also in that first season in Southern California that long-time announcer Ralph Lawler began his association with the club. World B. Free, who was acquired in the offseason from the Philadelphia 76ers, finished second overall in NBA scoring average, with 28.9 per game, while George Gervin of the San Antonio Spurs had a 29.6 average. 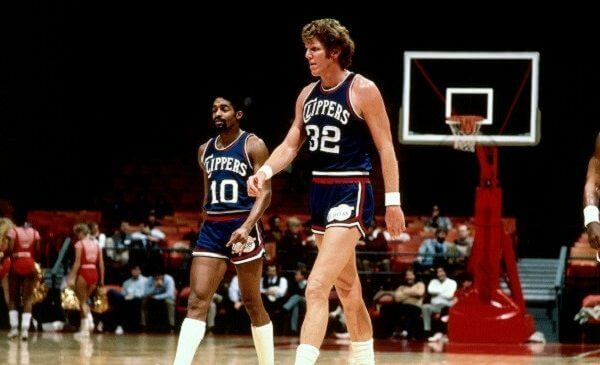 The 1979 – 1980 season saw the Clippers begin to struggle despite adding center Bill Walton, a San Diego native who was two years removed from an NBA Championship with the Trail Blazers. Walton missed 68 games due to foot injuries (which he also suffered in his final years in Portland). San Diego finished 35–47 as key players missed games due to injuries. Free again finishing second in league scoring, with 30.2 PPG. Paul Silas replaced Shue the following season, and the Clippers finished 36–46, again missing the postseason. Walton missed the entire season again due to foot injuries. Free was traded to the Golden State Warriors in exchange for guard Phil Smith. Seven years after the Rockets blasted off for Houston, the NBA came sailing back into San Diego as the Braves moved from Buffalo changing their name to the Clippers. One of the Clippers first big moves was the signing of Free Agent World B. Free who finished second in the NBA in scoring with 28.8 ppg. Also turning in a solid season was Randy Smith who had his 4th straight season over 20 ppg as the Clippers put together a 43-39 record. However, it would not be good enough for one of the 6 playoff spots in the Western Conference. A contest decided on Clippers because the city was known for the great sailing ships that passed through San Diego Bay. Who is the greatest San Diego Clippers? 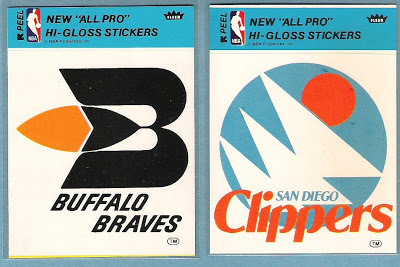 Seven years after the Rockets blasted off for Houston, the NBA came sailing back into San Diego as the Braves moved from Buffalo changing their name to the Clippers.